Why buy a store bought salad dressing when a homemade salad dressing is easy to make and much more flavorful and tasty? 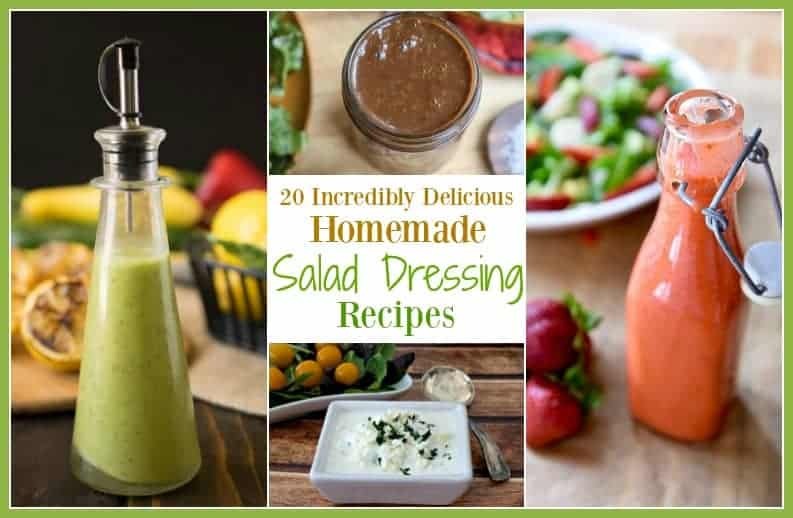 Here is a round up of 20 Incredibly Delicious Homemade Salad Dressing recipes. These salad dressing recipes will make a bland salad fantastic. Creamy Homemade Balsamic Vinaigrette by A Fork’s Tale: This homemade balsamic vinaigrette recipe is simple, quick, and easy to make. It is a little sweet, a little tangy, and incredibly tasty. 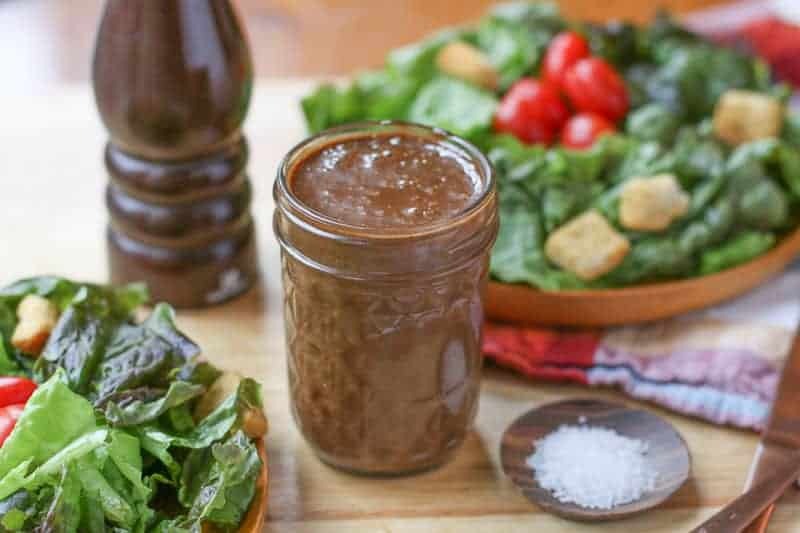 It is the best Balsamic Vinaigrette you can make and it will be your new favorite homemade salad dressing. Roasted Garlic Dressing by Happy Kitchen Rocks: Thick and creamy vegan roasted garlic homemade salad dressing is perfect for salads, casseroles, roasted vegetables, pasta, burgers, etc. Use it instead of mayonnaise! Healthy, flavorful, refreshing! Creamy Tomatillo Salad Dressing from Kalyn’s Kitchen: If you’ve had the creamy tomatillo dressing from Cafe Rio, this recipe for Cafe Rio Style Creamy Tomatillo Salad Dressing can help you make it at home! And this tasty homemade salad dressing is low-carb, low-glycmeic, gluten-free, and South Beach Diet friendly! 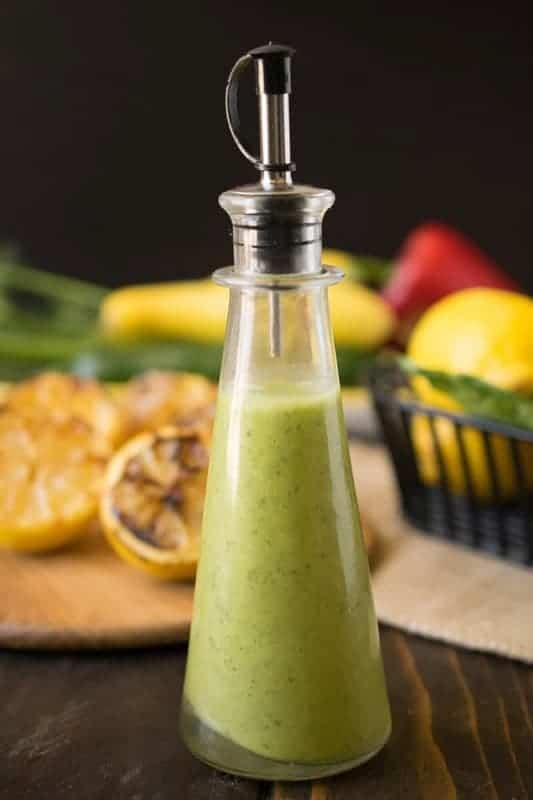 Grilled Lemon and Basil Vinaigrette by Culinary Ginger: Fresh lemons are grilled until they get caramelized and sweet then the juice is blended with fresh basil and parsley for a lovely salad dressing or dip. Hot Bacon Vinaigrette by For The Love of Food: This recipe combines apple cider vinegar, red wine, and bacon for a very tasty dressing. Sriracha Peanut Dressing from The Live-In Kitchen: Peanuts and sriracha go together like brownies and chocolate. It’s a match made in heaven. You can alter the heat level by adding more or less sriracha, but the burning feeling will leave you feeling alive and healthy. Citrus Tahini Dressing from Veggie Inspired: Calling all tahini lovers! This creamy homemade salad dressing celebrates tahini in all it’s glory.The citrus juice balances a light bitterness nicely, but it’s not sweet. If you prefer a sweeter dressing, you can add a tablespoon of pure maple syrup, but I love it just the way it is. Mango Salad Dressing by Real Food Real Deals: This mango salad dressing recipe is a delicious topping for greens, chicken, or fish. It’s a sweet dressing that keeps in the fridge for several days. (gluten-free, dairy-free). Creamy Parmesan Salad Dressing by A Fork’s Tale: Made with parmesan, lemon, peppercorn, and garlic; this salad dressing is absolutely delicious! 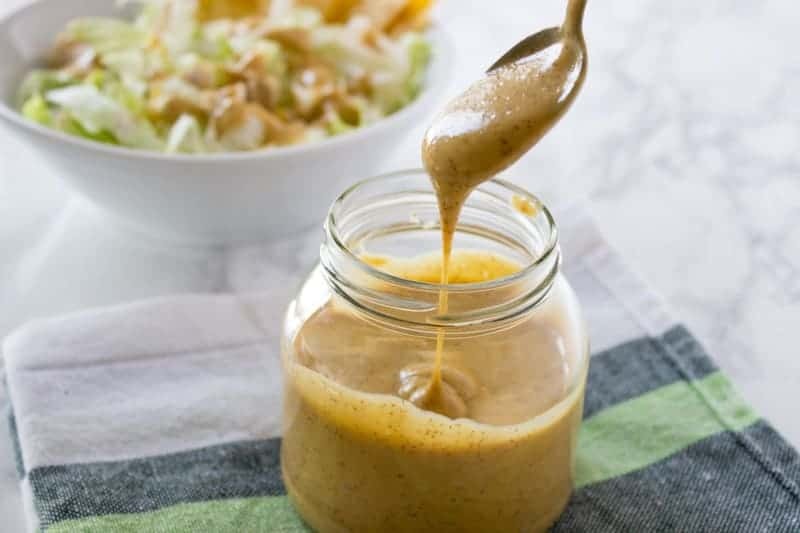 Honey Mustard Ginger Salad Dressing by Natalie’s Happy Health: Pungent and sweet, Honey Mustard Ginger Salad Dressing, enriched with healthy extra virgin olive oil and freshly grated ginger will make your salad not only delicious but very nutritious. Creamy Cilantro Dressing from Simple Happy Foodie: Creamy Cilantro Dressing adds a fresh burst of flavor to salads, grain bowls, tacos, or anything you love cilantro on! We even dip fries in it! Blackberry Balsamic Vinaigrette Recipe from Cooking on the Weekends: This vinaigrette is incredibly tasty and will make any salad addictive!You might even find yourself filling a small bowl with it, and dipping veggies into it, or a nice toasty piece of crusty bread. Apple Cider Vinegar Dressing by Low Carb with Jennifer: This apple cider vinegar dressing is so easy to make…no blender needed! Just add everything to a jar and shake it up! 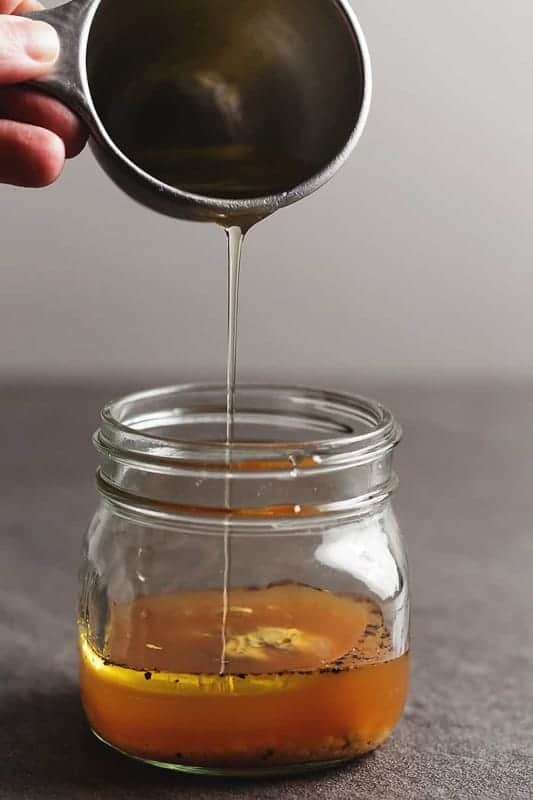 Honey Dijon Vinaigrette from Girl Heart Food: This easy tasty Honey Dijon Vinaigrette can be whipped up in minutes. Dawn from Girl Heart Food uses this lovely dressing to top her delicious Winter Green Salad made with baby kale, pomegranate arils, juicy clementine, Asian pear, and creamy goat cheese. Copycat Olive Garden Salad Dressing by A Fork’s Tale: This Copycat Olive Garden Salad Dressing Recipe is better than the restaurant version. It is full of flavor & so easy, you can make it in 3 minutes! Creamy Feta Dressing by Tasty Ever After: This salad dressing is a little tangy, a little salty, and a whole lot of addicting. It can be used on salads, as a dip, or even as a replacement for mayonnaise in sides like cole slaw or to top a lamb burger. 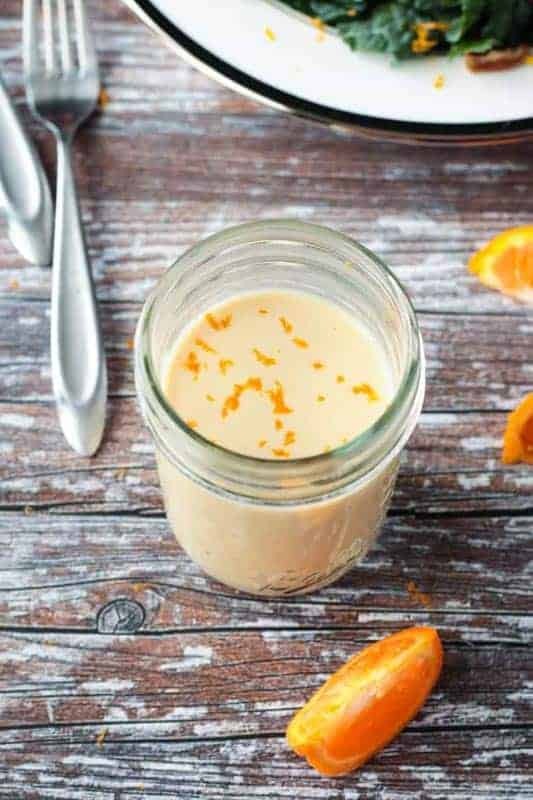 Orange Vinaigrette Salad Dressing by Yummy Mummy Kitchen: A light, sweet, and tangy orange citrus vinaigrette that’s perfect for dressing salads. Keto Bacon Ranch Dressing by Peace Love and Low Carb: This recipe combines two favorite things… Bacon and ranch dressing. If no one was looking, you might just lick the bowl and make a meal out of it. This is a very versatile recipe – great as a dip or as a salad dressing. Even amazing as a base for all kinds of cold salads. Once you make your own low carb, keto ranch dressing from scratch, you will never go back to store-bought. 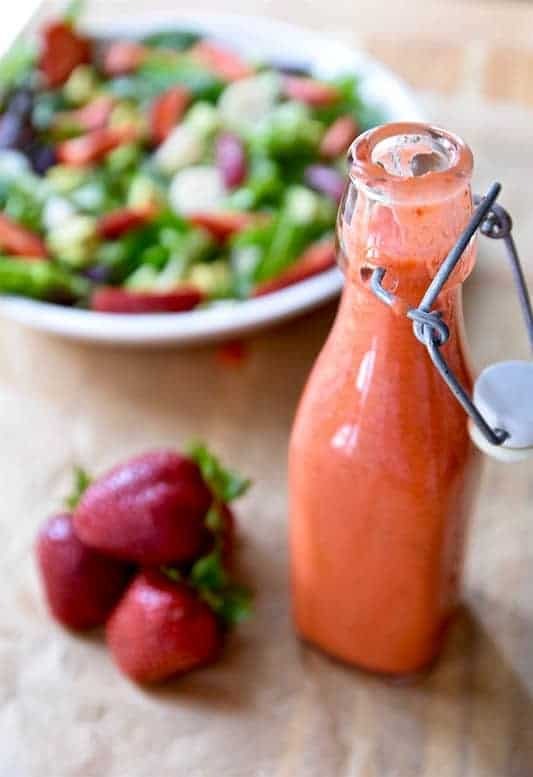 Strawberry Lemon Poppy Seed Vinaigrette by Tasting Page: Summer comes together in this strawberry lemon poppy seed vinaigrette to enjoy all season long on fresh greens with crisp fruits and vegetables. 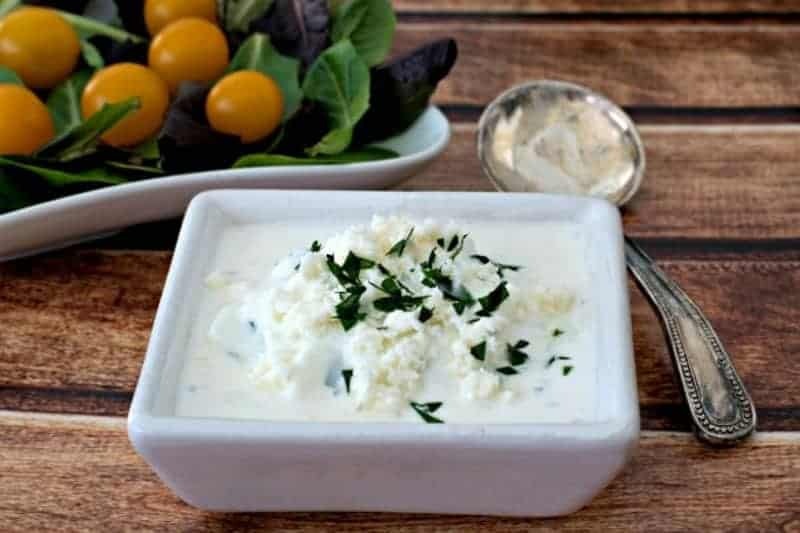 BEST Homemade Chunky Blue Cheese Salad Dressing by A Fork’s Tale: This is the best homemade chunky blue cheese dressing recipe you will ever make! It is incredibly easy and wicked good. Taste the rich creamy dressing. So many delicious options! Eating salad has never tasted so good! Thanks for including my Citrus Tahini Dressing! Pinning this post so I can refer back to it whenever I need a new dressing recipe! They look look so fantastic and I’m quite honored to be included in this roundup! Thanks girl! Homemade salad dressing is so good! Thanks for including my Creamy Tomatillo Cafe Rio Style Dressing!